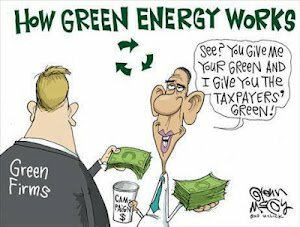 Obama’s nominees are very likely to advance his Hard Green agenda of replacing hydrocarbons with expensive renewable energy, closing more onshore and offshore public lands to energy development and other economic activities, and ensuring that electricity and gasoline prices rise even further. In his second inaugural address, President Obama pledged to address “the threat of climate change” because no one can avoid “the devastating impact of raging fires, crippling droughts and more powerful storms.” The President had said nothing about climate change during his reelection campaign –because that would have reminded millions of voters that he is committed to replacing hydrocarbons with expensive renewable energy and ensuring that electricity and gasoline prices skyrocket. But with the election safely behind him, climate change is back on his agenda, even though the Earth has not warmed during the past 17 years; Hurricane Sandy did not end one of the longest stretches ever with no category 3 or higher hurricane making landfall in the USA; and longstanding “progressive” federal policies on timber cutting and fire suppression have made wildfires harder to control. The President’s nominees to head the Interior and Energy Departments and Environmental Protection Agency – Sally Jewell, Ernest Moniz, and Gina McCarthy – are all supposedly much more mainstream than their highly controversial predecessors. The media has therefore criticized each of them from the Left, even though they are clearly all “team players” in a decidedly anti-fossil fuels administration. Sally Jewell began her career as an engineer with Mobil Oil (now ExxonMobil), then switched to banking (advising on oil and gas asset management), before taking over as head of outdoors giant REI. She is touted as having business experience that is virtually nonexistent in the Obama Cabinet. However, Jewell is being prodded to follow Bill Clinton’s practice of closing millions of acres from human activity, especially oil and gas and mineral leasing, but even livestock grazing. As a lifelong “outdoors enthusiast” whose “loyalties lie with those who view the public lands as a playground, not the source of commodities like minerals or meat” (according to Grist analyst Greg Hanscom), she may find land withdrawals an easy course to take – except where wind and solar installations are involved. 1) In light of the President’s “all of the above” energy policy and the clear challenge posed by Chinese ownership of most of the world’s rare-earth minerals, how does the need for energy and minerals development mesh with her and the President’s strategy for managing our nation’s public lands? 2) Given that all federal land lies within state boundaries, and that land use decisions affecting federal lands clearly affect state and local economies, what role should states play in decisions about declaring land within state boundaries as national monuments or other “off limits” categories – and regarding mineral leasing, livestock grazing, road building and other activities on federal lands? But such criticism is likely a smokescreen. Some suspect that Moniz is being brought onboard to be a lone administration voice in support of liquefied natural gas exports, despite testifying in 2011 that the U.S. will soon be a net natural gas importer, even as fracking was substantially increasing domestic supplies. Similarly, his criticism of the flawed Cornell University study that demonized shale oil as worse than coal on greenhouse gas emissions makes him the perfect choice for future hand-wringing over some new study claiming that fracking could cause serious new environmental problems. 1) Given that Earth has not warmed for 17 years, despite steadily increasing carbon dioxide in the atmosphere, is it not time to question the wisdom of increasing energy costs for American consumers via carbon taxes, cap-and-trade or the EPA’s plans to rigorously regulate CO2? 2) Given the increasing focus on energy efficiency and conservation, what are the best ways to reduce transmission line losses; curtail impacts on agricultural lands, wildlife habitats, and bird and bat species from wind turbines, solar panels and biofuels; and help families and businesses reduce energy use and expenses – without further sacrificing employment, living standards, basic freedoms or ecological values? Gina McCarthy as new EPA administrator raises quite different concerns. As Competitive Enterprise Institute analyst Marlo Lewis has noted, McCarthy is guilty of lying to Congress during 2011 testimony, when she and other EPA officials denied under oath that motor vehicle greenhouse gas emission standards played any role in agency implementation of 54.5 mpg fuel economy standards. Lewis surmised that this false testimony was intended to protect EPA’s efforts to legislate climate policy under the guise of saving energy and implementing the Clean Air Act. The agency’s new fuel rules were devised with the auto industry during secret negotiations – but are unconstitutional Executive Branch lawmaking that will raise consumer costs and make cars smaller, lighter and less safe. 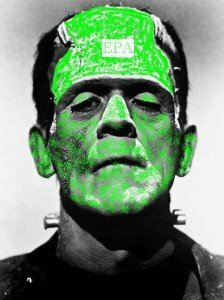 1) Under what authority does EPA assert the right to twist existing law, to create new laws that exceed clear legislative language, the stated intent of Congress, and historical or legal precedent? 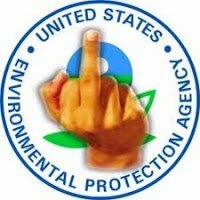 2) Under what authority does an EPA official have the right to lie under oath to Congress, or use secret email accounts – thereby implying that Members of Congress are inferior to the Executive Branch, and avoiding disciplinary action because a partisan Justice Department shields Executive Branch officials from prosecution for such unlawful behavior? Jewell, Moniz and McCarthy would all would be loyal servants to the Obama camp. And though each key bureaucrat takes an oath to uphold the Constitution and serve the public, history shows that any personal views that conflict with the official agenda will likely be reshaped and compromised as department directors carry out their missions. So despite serious concerns that many Senators have over the nominees’ likely policies, we anticipate the Senate will confirm Jewell and Moniz quickly. McCarthy is another matter. She has already demonstrated contempt for the Constitution and Congress itself. Thus, despite claims that her experience and temperament suggest she will work well with Congress and the states, such a person – absent public repentance and a promise to chart a new course – should not be rewarded with any new opportunities to lie to, mislead and harm the public. No matter how noble the ends are purported to be, they cannot justify unlawful and disruptive means. Carbon tax hallucinations – or just lies? 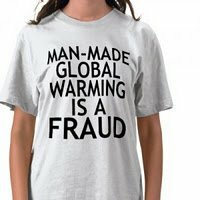 Is Obama Fooled by Warming Hoax or Fooling YOU? No Warming for 16 Years!